Having a spa treatment is always nice especially when you can enjoy a beautiful ambiance and a unique garden view. 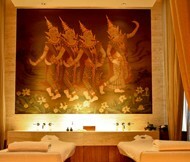 The Spa has been establish since the opening of the Hilton Millennium Bangkok, for more than 4 years. 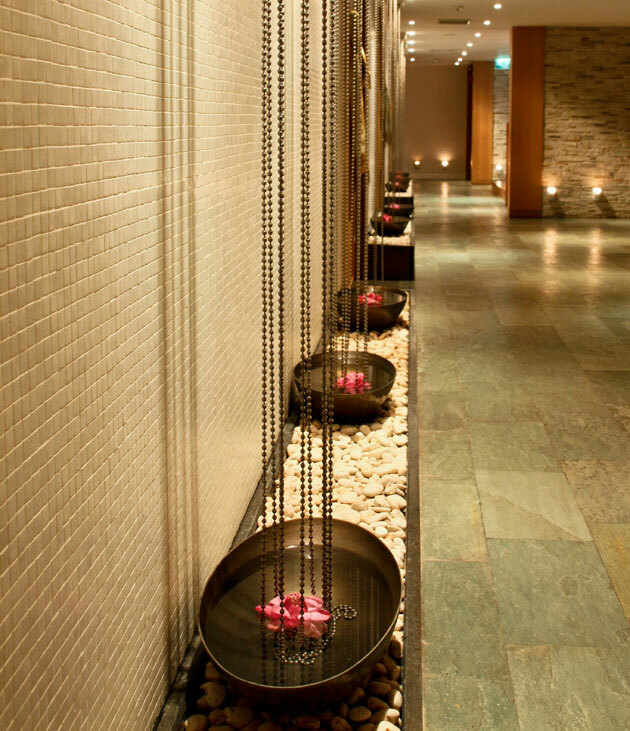 Every time I come to the hotel, whether staying here or eating here, I’m always curious about the Spa. It has it’s own building adjacent to the hotel main building tower. There is a super large Banyan tree that provides shadow to the whole sunken courtyard. The tree must be close to a hundred years old with small thin roots twining and hanging from the branches, creating an interesting space. It is always appealling to me when I walk pass, but this time I had the opportunity to experience it. Entering the Spa we were welcomed by the spa manager khun Jingjai Sarasook. 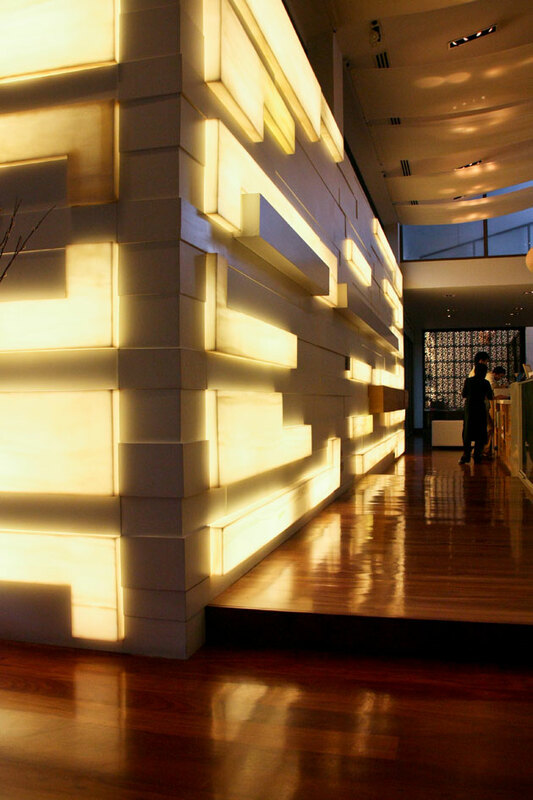 The lobby area has high ceilings with white walls and wood flooring finish. At the seating area we were served a chilled nam Matoom drink while looking through the glass wall and enjoying the view of the banyan tree courtyard. 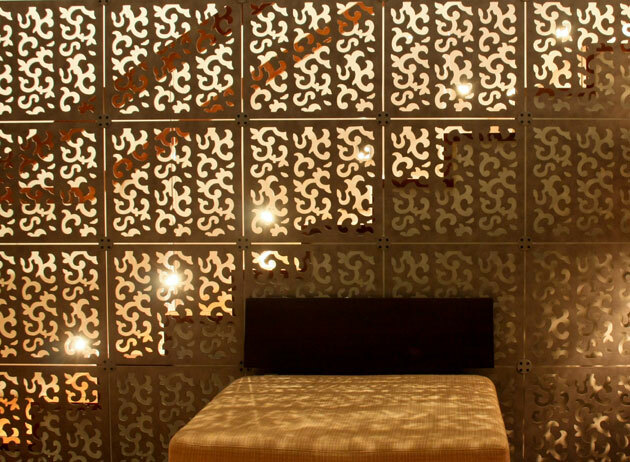 Khun Jingjai recommended treatments that are offered here. We both agreed to try the Equilibrium. Guided down stairs to the treatment room. 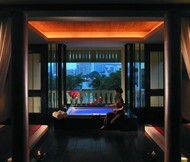 I was assigned to the Mystique suite, a suite not so big but with toilets, shower and floor to ceiling glass wall. 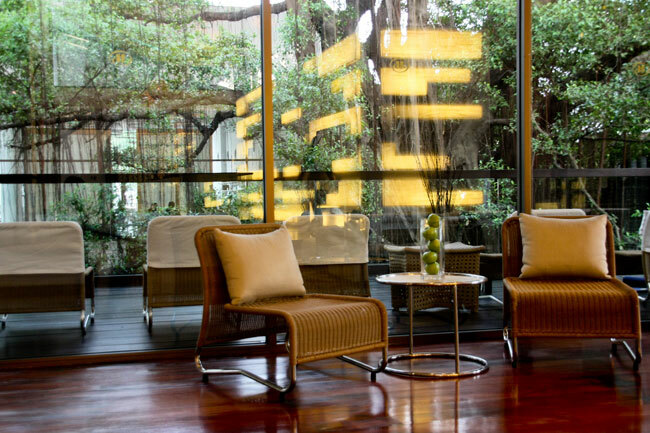 On the opposite side of the glass wall, a secret garden with 2 large banyan tree and a large fig tree. The treatment started with a thorough foot bath with sea salt. Khun Punch with many years of experience was my therapist. After laying face down on the massage bed, she applied a scrub mixture of black sesame and honey to the legs and working her way up to the back. The sesame provides vitamin E which helps protect and moisturise the skin. The honey makes your skin strong and provides a good healing charactor to wounds or scares. After cleaning off the scrub, the massage began. The wild mint oil was appealing, it was heated to give a nice warm massage. Having the oil heated along with experienced hands does wonders to the body. Starting from the legs to the back. She felt tension on my legs and back so she gives careful attention to release those tension. It ends with a head massage. 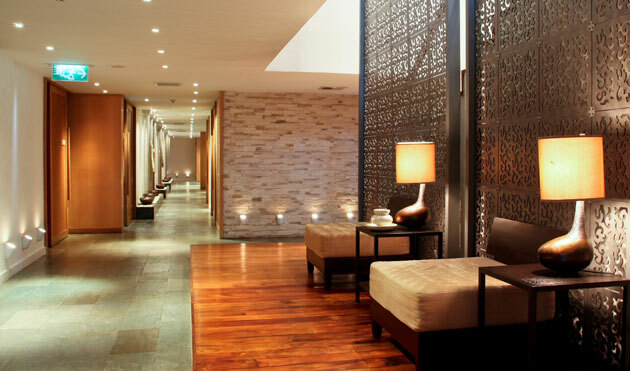 The Equilibrium is a well rounded treatment that combines a body scrub and an aroma oil massage. Having a nice treatment like this and enjoying the beautiful garden at the same time is a treat. I’m glad my curiosity brought me here to have a wonderful experience.